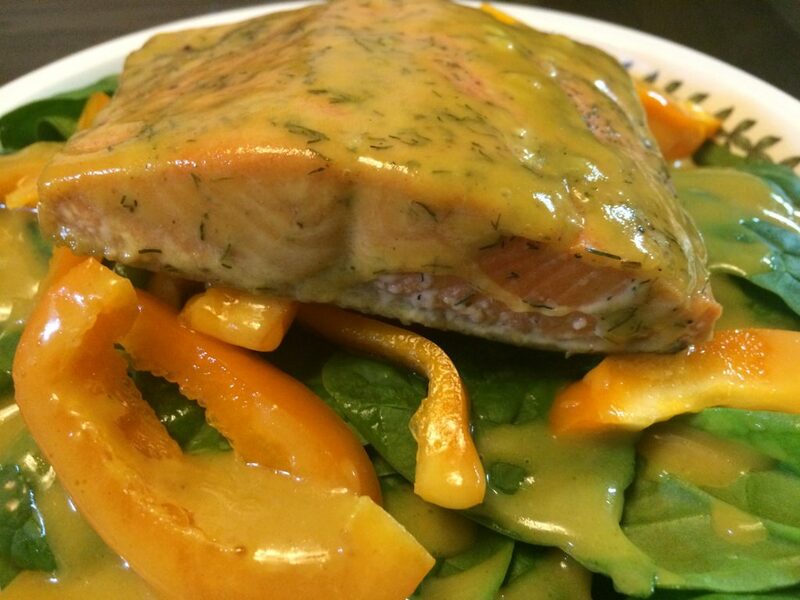 Honey Mustard Salmon Salad is simple yet delicious. This is one recipe that anyone can make as long as you follow this one rule. 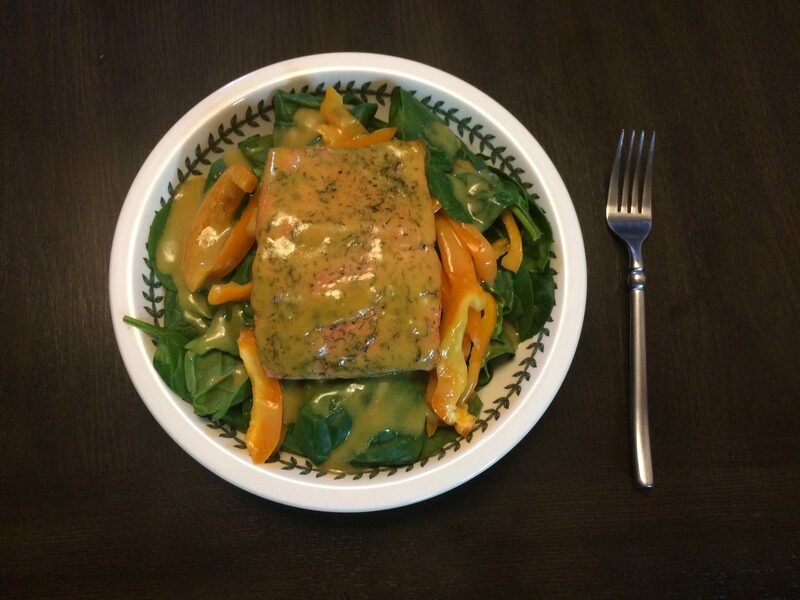 Never ever over cook salmon or it will be dry and unpleasant. Theres three things that most people don’t know about salmon and fish, that everyone should know before cooking this recipe. 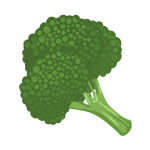 The health benefits of honey mustard sauce is primarily derived from the honey, mustard, and olive oil. Honey has many healing properties if you buy organic raw honey. While honey is very low in nutrition it does have a plethora of health benefits from its phytochemicals which are important for health, which can be read about here. 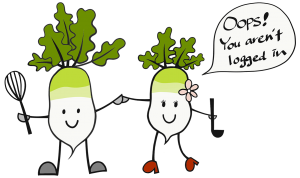 Mustard is another ingredient that has low nutritional value, but has a boat load of other benefits like easing joint pain and lowering the risk of cardiovascular disease. Olive oil is rich in fatty acids which is a source of good cholesterol. Studies on olive oil show that olive oil actually reduces bad cholesterol and increases good cholesterol. Finally, honey mustard sauce is overall has some health benefits, and is a good to have on occasion when compared to other alternate sauces. First, know that salmon and other types of fish that come from the ocean have a very small chance of carrying parasites or other food bourn illnesses. There are many people who are concerned about eating fish and getting sick. I’m not saying that its not possible to get sick eating ocean fish, because there is a chance and the US FDA recommends cooking fresh fish to 145F degrees. However, here is the dilemma, if you cook just about any fish to this temperature it will almost certainly be overcooked and bad tasting. How to circumvent this 145F degree FDA requirement and still be safe is my next point. I believe that a great many people who say they don’t like fish, its because they secretly dislike overcooked fish. Overcooking fish ruins the texture, flavor, and is downright unpleasant. As I explained above the US FDA guideline tells everyone that you must overcook the fish to be safe to eat. Almost all fish are overcooked at 145F degrees! So in order to cook fish and have a great taste you have two options. The first option is to buy fresh ocean fish, ignore the guidelines, and take the risk. The second option is to buy fresh ocean fish, then freeze it for 24 hours — depending on your freezer temperature — and then eat it at what ever temperature you like. Most people don’t know the other part of the FDA guideline, is that fish that has been frozen according to their specifications kills off any parasites and is safe to even eat raw after its been frozen and thawed. If you simply buy frozen fish from the start then there is no need to overcook fish, and it will be much more enjoyable. Note, while freezing does kill off parasites it does not prevent from other bacteria illnesses that come from unsafe handling of food in general, please refer to the US FDA website to learn more. There’s an additional thing you need to know about salmon, and we want to share with you how to cook salmon. We reserve our best tips, tricks, and secrets for registered members or people who will share our content. Please either login or create a free account by registering or simply use a social media account to shrare. Gather the ingredients. Then recipe read the tips found here. 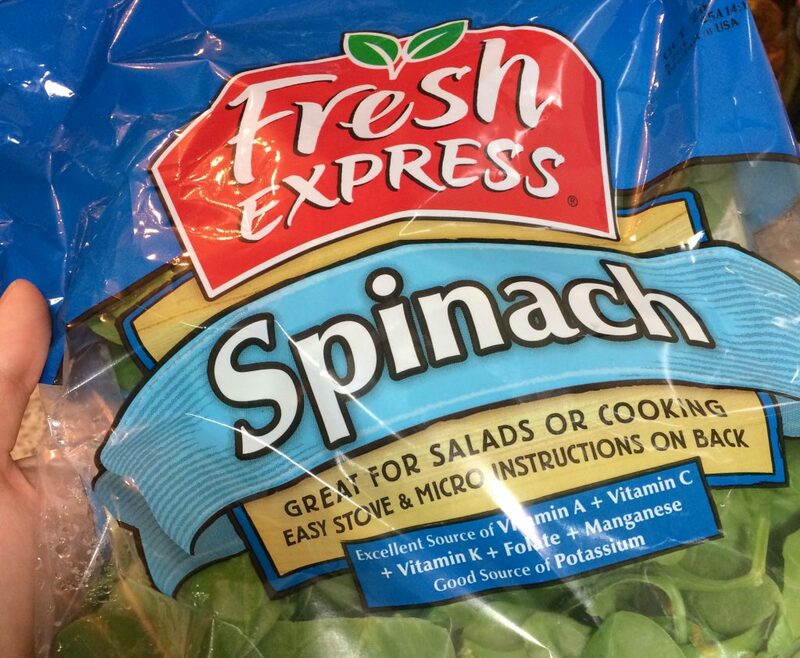 Give the spinach an ice water shock for two minutes. Strain and arrange spinach in a bowl. 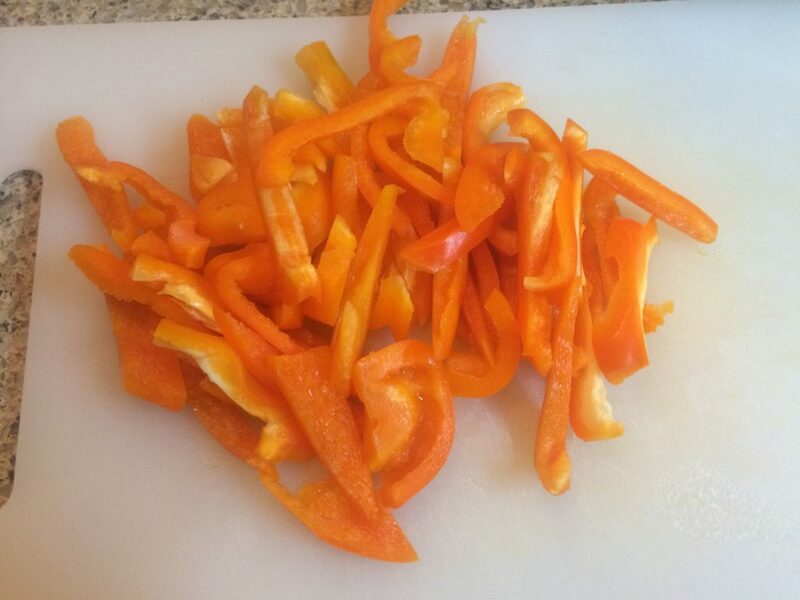 Slice bell pepper lengthwise and add to the top of the spinach. 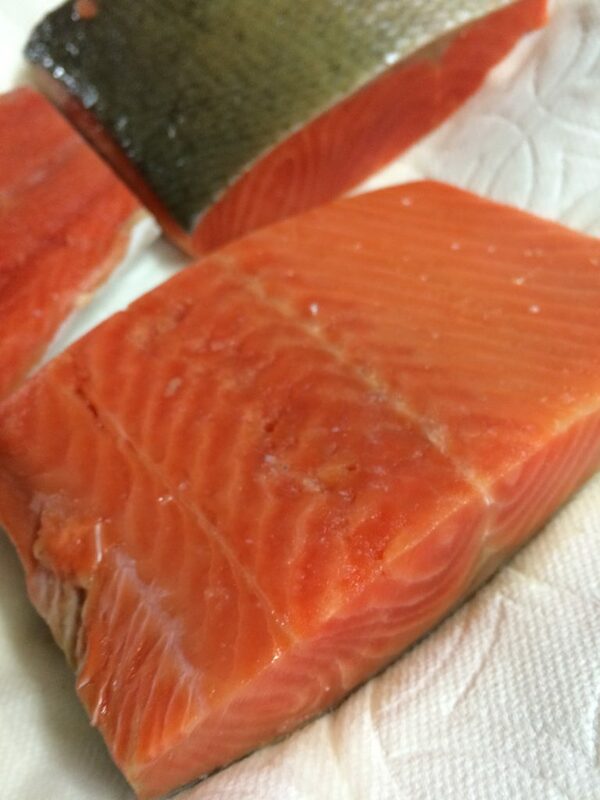 Place salmon on a baking sheet lined with parchment paper. Read the article about preparing different types of salmon and fish. 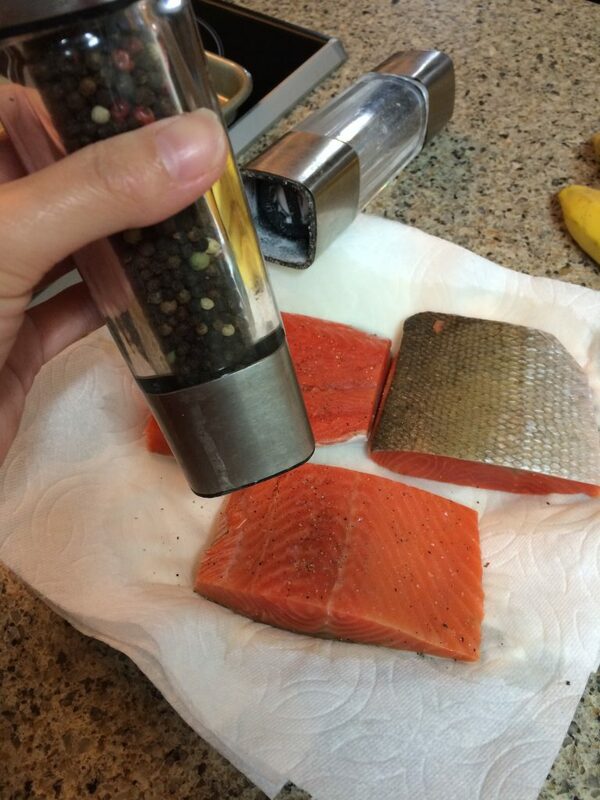 Sprinkle salt, pepper, and dill weed on salmon. 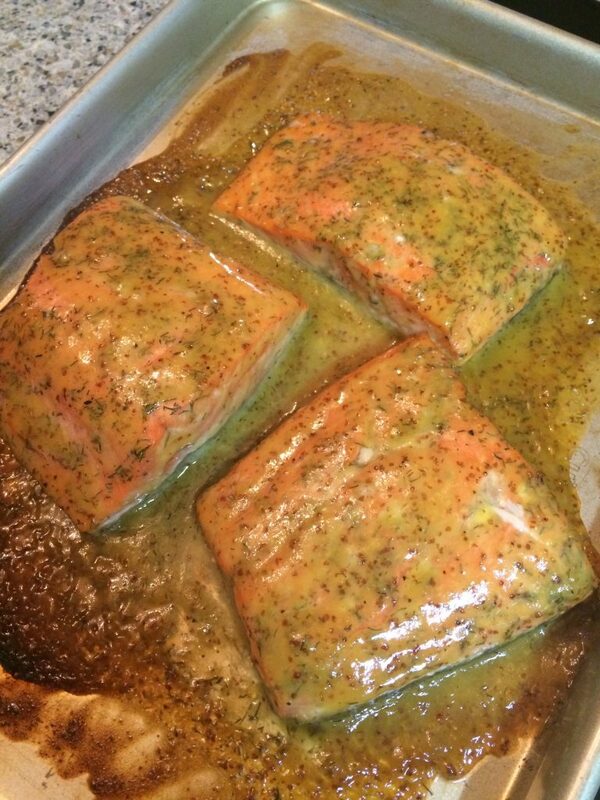 Coat top and bottom of salmon with honey mustard sauce. Place on a bed of spinach and sliced bell peppers. Ingredients are important when making this recipe. If you use the best ingredients then your result will turn out for the best. Although most recipes for honey mustard sauce do not call for lemon juice, I add it to aid in preserving the sauce. Also when you store the sauce to use another day, store it in an air tight container.